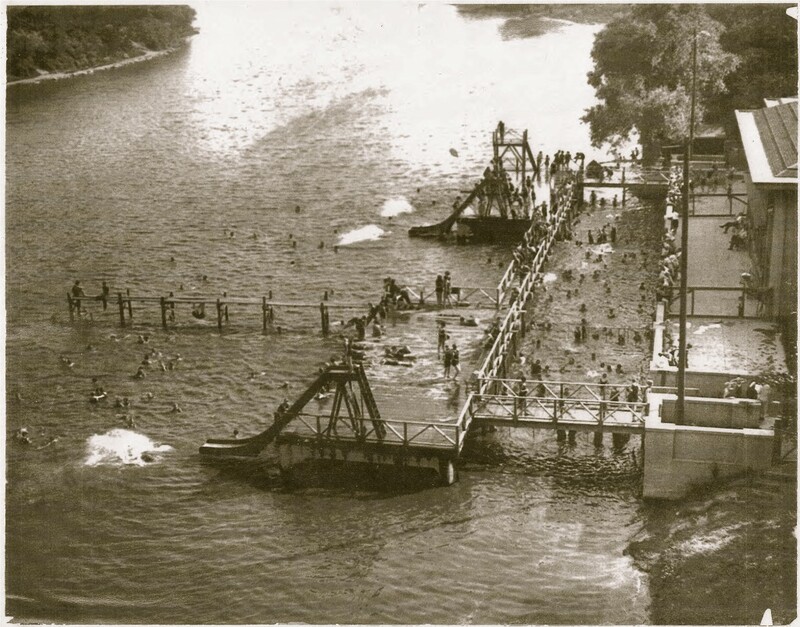 A public bathing beach was started as an experiment on the river at Gordon Park. Six election booths were erected on the riverbank, dressing rooms were partitioned off, and an attendant for the boys and another for the girls, were employed; the man in charge acted as life-saver. This bathing beach and the booths were put in order rather late in the season, but during the 45 days they were in use, 10,792 boys and 508 girls availed themselves of the sport. The advantages the river has over the lake as a bathing beach is that it gets warmer sooner and that the temperature remains more even. A public bathing beach was started as an experiment on the river at Gordon Park. Six election booths were erected on the riverbank, dressing rooms were partitioned off, and an attendant for the boys and another for the girls, were employed; the man in charge acted as life-saver. This bathing beach and the booths were put in order rather late in the season, but during the 45 days they were in use, 10,792 boys and 508 girls availed themselves of the sport. The advantages the river has over the lake as a bathing beach is that it gets warmer sooner and the temperature remains fairly steady. 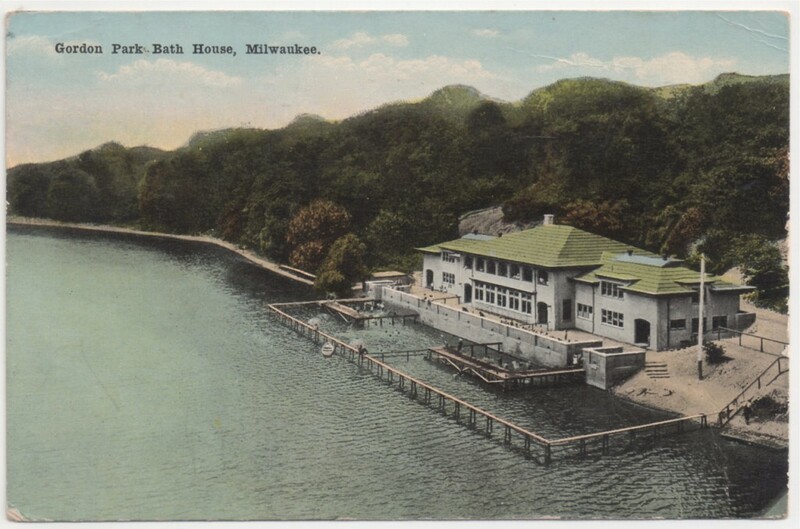 Built in 1913 at a cost of $25,000, the Gordon Park bathhouse opened for swimming in summer 1914. It contained an eating room and more than three hundred lockers, accommodating as many as six hundred swimmers at a time. The bathhouse was also designed for wintertime use by ice skaters. 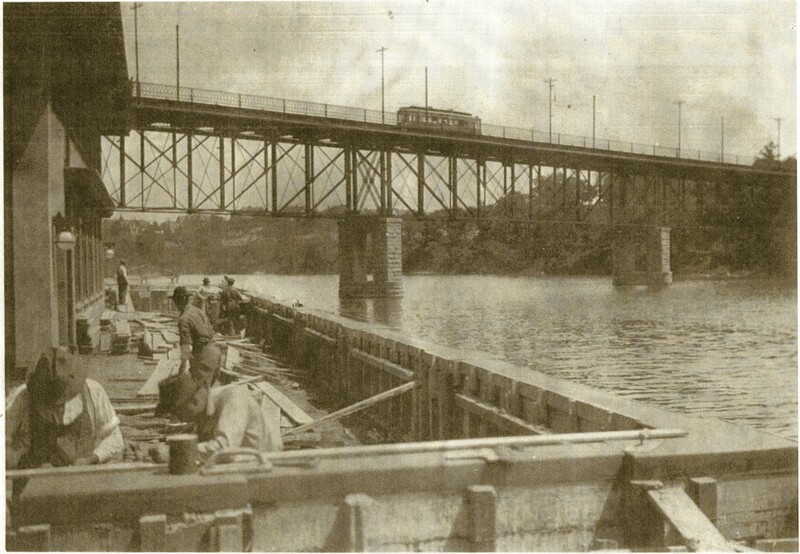 To keep the area tidy, every year or so officials would open the gates of the North Avenue dam, lowering the river level by several feet so workers could clean trash and debris from the river bottom and perform repairs on piers and other bathing facilities. The bathhouse witnessed many sporting events throughout the years, from canoe races and Boy Scout swim meets in the summer to hockey and speed skating in the winter. The first all-city swim meet was held at Gordon Park on July 17, 1921, with more than one hundred competitors taking part, fifty-nine in the diving events alone, watched by a crowd of onlookers both ashore and aboard canoes. Five years later, in January 1926, thirty thousand spectators turned out to watch an “ice fete” (speed skating, ski-jumping and hockey) taking place on the frozen surface of the Milwaukee River. Newspapers reported every inch of the riverbank solidly packed with spectators and thousands more onlookers lining the Folsom Place (now Locust Street) viaduct. With the exception of college football, it was said to be the best-attended amateur sporting event in the state’s history up to that time. Mostly, however, at a time when air conditioning was practically unknown, the swimming area was a fine place to cool off—and a safe one too, with four lifeguards on duty during swimming hours. One sweltering day in July 1930, 1,132 swimmers passed through the bathhouse doors. But the Gordon Park swimming area was controversial even before construction started on the bathhouse. Opponents of the project noted the park was downstream from sewers that emptied into the river. The city’s Public Works Department countered by saying the location was safe because the sewers only released surface water into the river—except when unusually heavy rain would trigger an overflow from the sanitary sewer system. In time, the critics were proven right and the city’s experts proven wrong. As the years went by, the swimming area would repeatedly close, from anywhere from a few days to a few weeks until the bacteria count dropped to a safe level. In 1931, a thick coating of decomposing sewage on the riverbed shot geysers of gas from the surface of the water and caused concern the swimming area might close for the entire summer. Suspicion fell on cottages built on the river north of the city limits, which flushed waste directly into the river. On another occasion, a sanitary sewer in Shorewood became blocked and sewage backed into the storm system and poured, untreated, into the river for a considerable time before the problem was noticed. In 1939, the country park commission unveiled plans to remodel the river bathhouse into a year-round recreational center by improving the heating plant, removing interior stairs and using the enlarged space for dancing. The country also purchased a supply of games and cards. 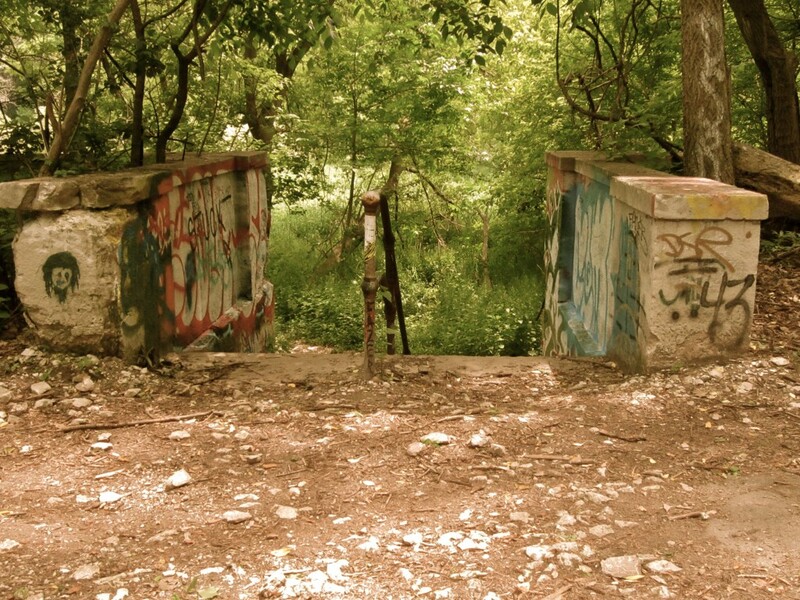 The building’s isolation, at the foot of a steep bluff and well separated from the main park, made it an easy target. 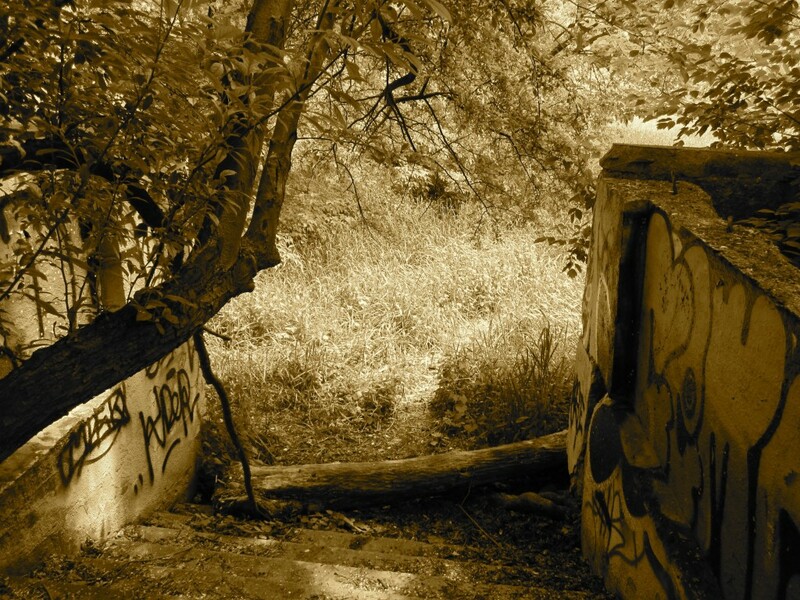 In the summer of 1948 there were numerous instances of vandalism. The building was broken into, windows shattered, fire extinguishers emptied, metal locker doors torn off, the building’s loudspeaker system damaged, a safe turned upside down and light bulbs and reflectors smashed. Faced with continued repairs to a building that no longer had a purpose, the county bowed to the inevitable. The building closed and was torn down in the 1970s. Demolition crews left the massive retaining wall in place, probably because the river still lapped against it and erosion certainly would have followed its removal. Today, the wall, built one hundred years ago, sits high and dry and a fair distance from the river, a silent reminder of children splashing in the sun on hot days, vandals prowling on dark nights and the terrible fragility of the river’s health. Mr. Swanson, you do beautiful work. THANK YOU! ❤ this history! Growing up in Riverwest (just across Holton Street in Harambee to be precise) my friends and I swam in the pool at Gordon Park. In the winter, the aging pavilion at the river’s edge was used to warm skaters in the winter. Yes, city crews did shovel snow off the frozen river for skating! By the time I attended Riverside HS in the mid-1960s, the pavilion had been torn down. Thanks for your series, while I now live in St. Louis, I do still enjoy learning of Milwaukee’s most impressive history on so many fronts. Keep up the great work! Great article–very interesting and well written. Thanks. I happened to be listening and contacted them to let them know I had a picture from my Great Grandfathers photo album taken in 1915. I sent the photo their way and they added it to the article! If you click the link to WUWM’s page – the picture of the people on the frozen river is the one he took! Pretty cool to put that connection together. Just wanted to share with you as well – since you have this great post on the Bathhouse. I used to live on the east end of Burleigh near Gaenslen School, and I am now involved with my local historical society. I appreciate what you are doing to preserve and share the rich history of Milwaukee.